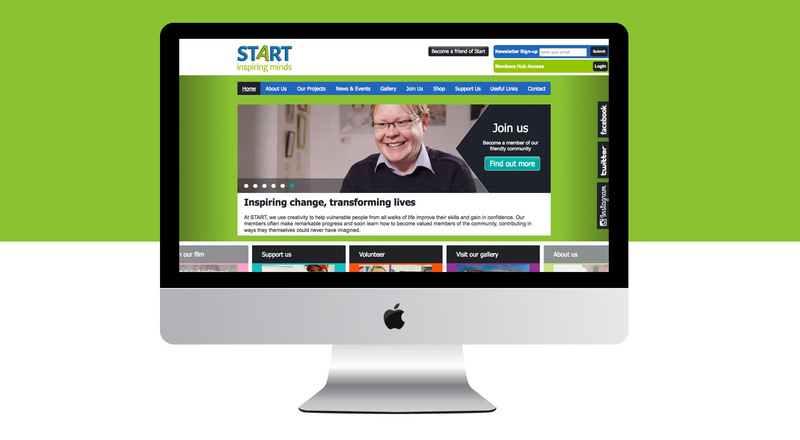 Start in Salford commissioned us to create a bespoke charity website design. The design was to a be bright, informative and easy to navigate website. Start is a creative, arts and well-being charity based in Salford. We addressed navigation issues to Start which they’d encountered with their previous site. We then came up with a number of designs to discuss with the team at Start. The chosen design was then refined and specific elements added, such as the Support Us page which makes it easy for supporters to donate to the charity online. A new shop section was also added enabling users to buy Start’s products to help raise funds to further the work of the charity.